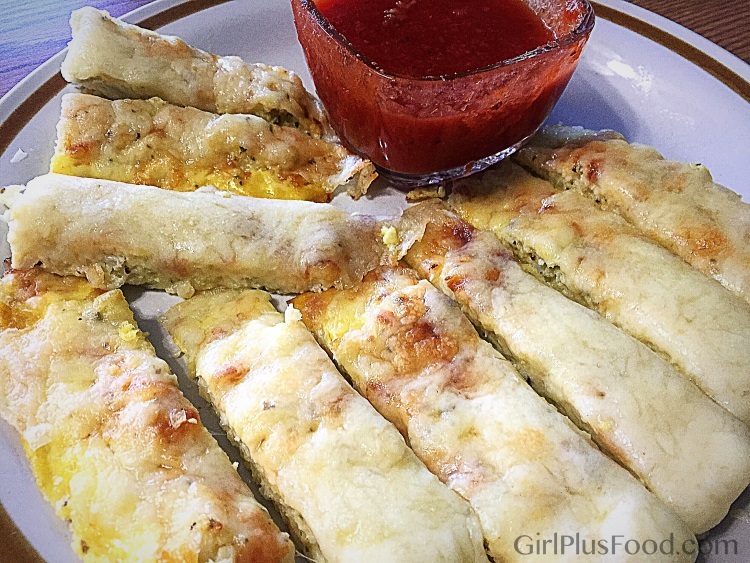 “Cauliflower Breadsticks?! !” … Yeah, I know! Doesn’t that sound painfully… NOT-right? But don’t judge this seemingly mutated recipe just yet! I saw this video circulated all over Facebook and the instructions were too easy to NOT to give it a shot! And gosh, are we glad to have taken the chance! These babies are DELICIOUS… and they are also healthy and won’t leave you feeling weighed down! Note: Video calls for 2 cups of mozzarella, but I used a cup of extra sharp cheddar (JRoc & my favorite) and a cup of mozzarella instead. Cut the cauliflower into florets, discarding any large stem pieces. Place the florets into the bowl of a food processor and pulse until the cauliflower is chopped into small pieces that are about the same size as a grain of rice. Place 4 cups of riced cauliflower in a large-sized microwavable bowl, and cover with plastic wrap. Microwave for 10 minutes, or until the cauliflower is tender. When the cauliflower is done, remove the plastic wrap and let cool. Add the eggs, 2 cups of extra sharp cheddar and mozzarella, oregano, garlic, salt and pepper and stir to combine. Divide the mixture in half and shape into 2 circles on the prepared baking sheet. Bake for 25 minutes, then remove it from the oven and top with the remaining 1 cup of shredded mozzarella and bake for another 5 minutes, until the cheese has melted and the edges are brown. 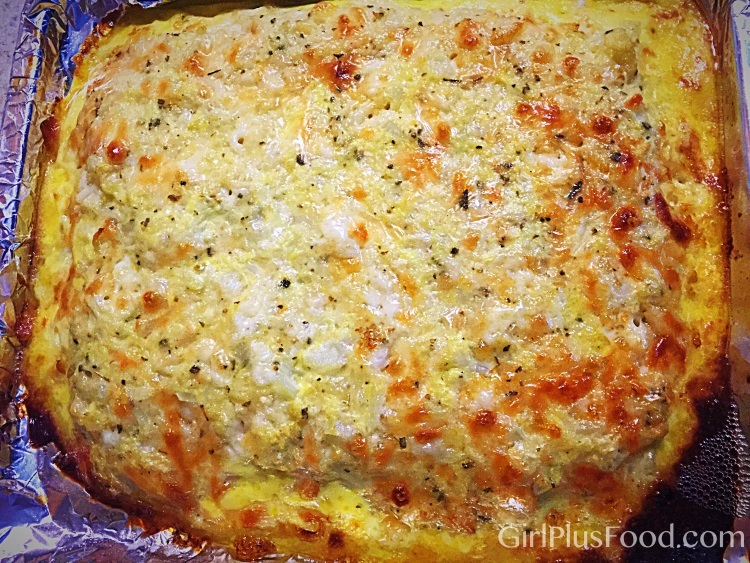 Add eggs, 2 cups of extra sharp cheddar and mozzarella, oregano, garlic, salt and pepper and stir to combine. 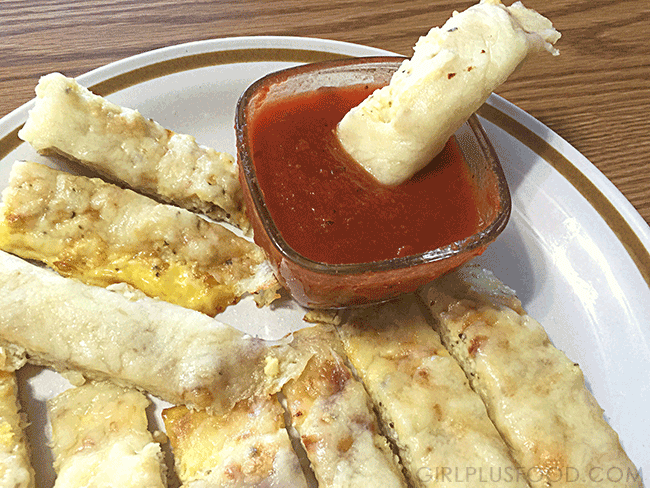 Bake for 25 minutes, then remove it from the oven and top with the remaining 1 cup of shredded mozzarella cheese and bake for another 5 minutes, until the cheese has melted and the edges are brown. Next: Copycat Red Lobster’s Cheddar Biscuits Recipe!